Have you ever wanted to learn magic? 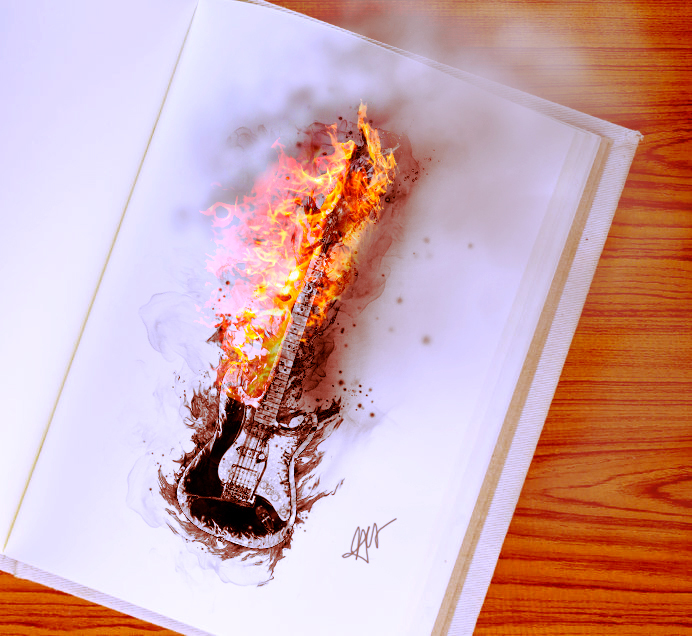 Well in this fun tutorial, we’re going to teach you how to make a sketch burn alive with fire! Learn how to create this cool fire effect in Photoshop. Let’s get started! Open all your references in Photoshop. 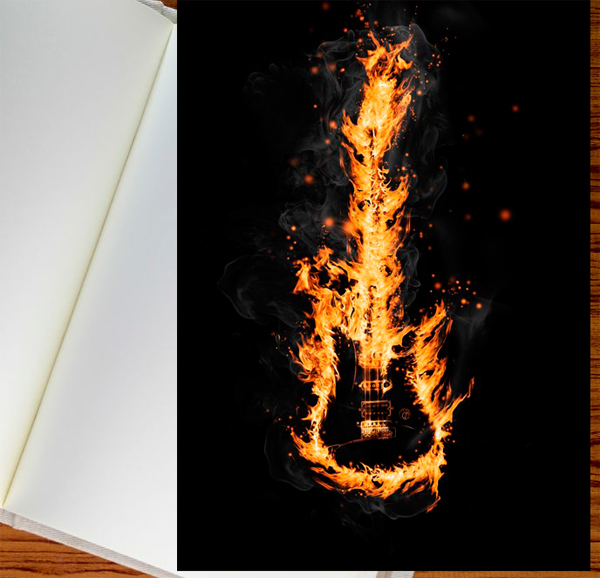 Copy and Paste the fire guitar [image:12574611] on top of the sketchbook [image: 26025356]. 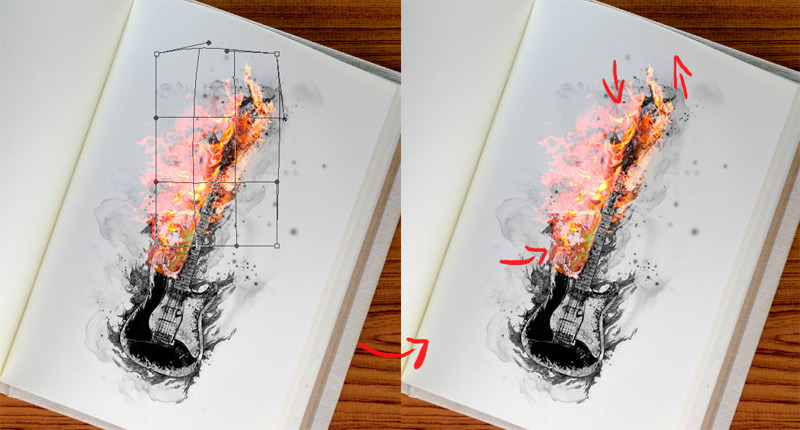 Control + T to Resize and Rotate the fire guitar so that it fits better on the sketchbook, then set the layer to Difference. Go to Image > Adjustments > Hue/Saturation and bring down the Saturation to -100 so that the image is now in grayscale. See, it’s already looking like a real sketch! 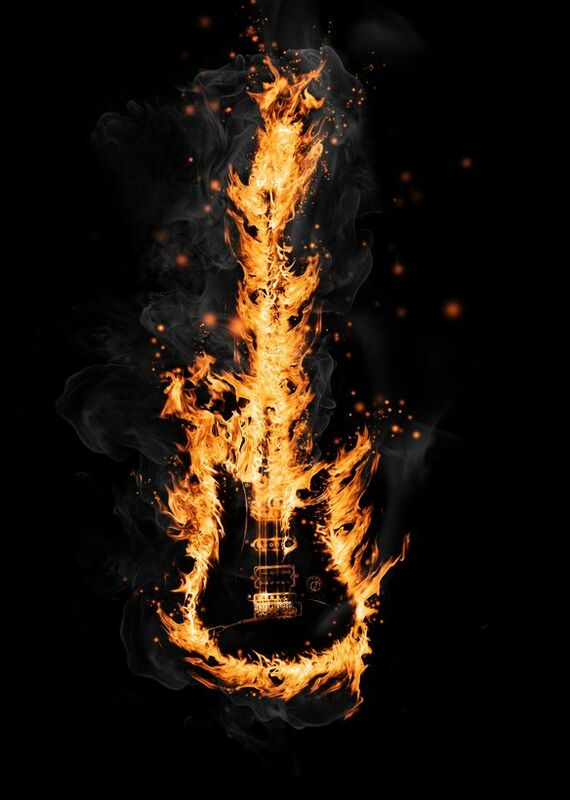 Copy and Paste the electric guitar [image: 10609456] onto a new layer and drag the layer so that it is beneath the fire guitar. Set the layer to Darken to in order to eliminate the white background. Just like our previous step, go to Image > Adjustments> Hue/Saturation and bring down the Saturation to -100 so that the image is in grayscale. 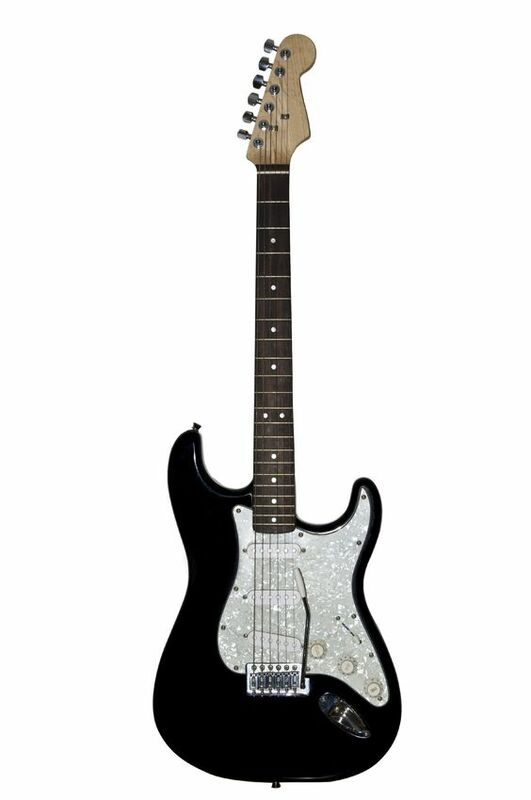 Now the sketch looks even more like a guitar. Use the Lasso Tool (L) to select pieces of fire from the fire collection [image: 20736564] and paste each selection into the document. 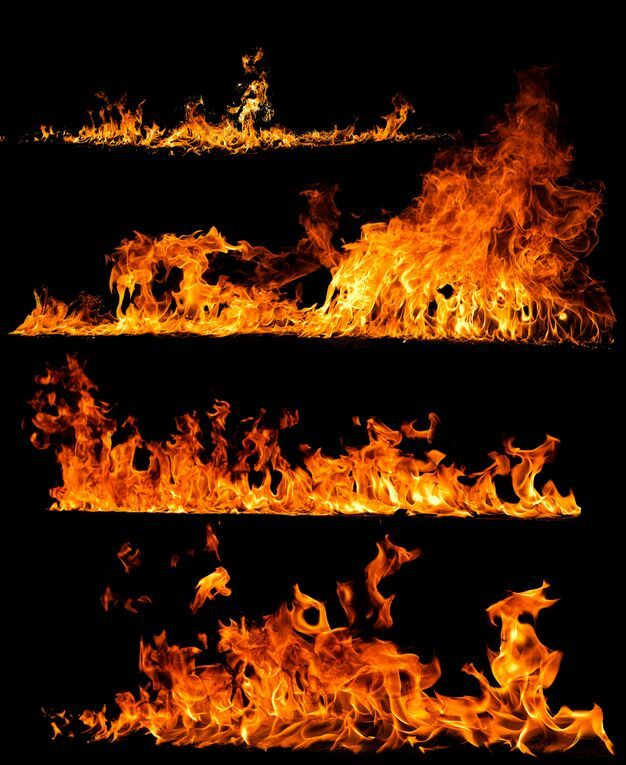 We’ll be using mostly the bottom two layers of fire for this effect. 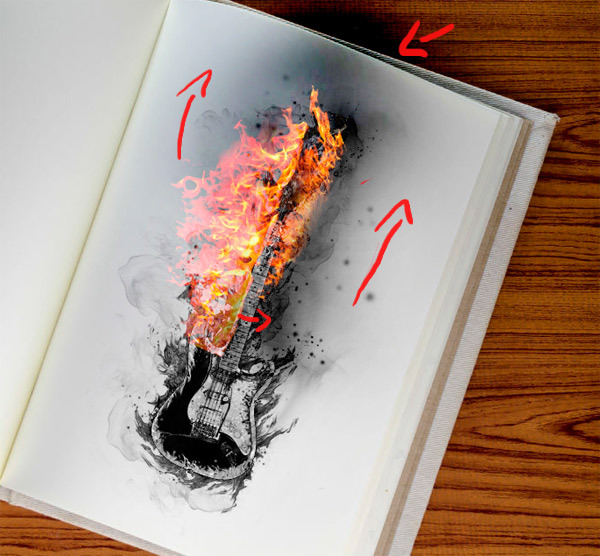 Transform each section of fire so that they mold to the neck of the guitar. Control + T to Resize then select the Warp option to mold the direction of the fire. Try to mold it so it looks like the fire could be burning on top of the paper. Play around with different blend modes for this effect. Lighten and Screen work best to eliminate the black background. Erase any excess to blend jagged edges. The only way to make this sketch really burn is to create some depth between the fire and paper. 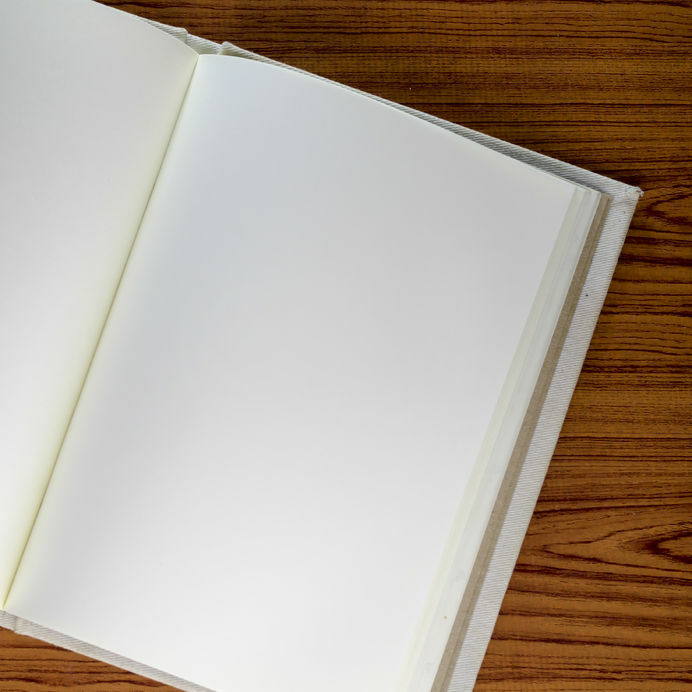 Select the sketchbook layer. Use the Burn Tool (O) with the Range set to Highlights, and begin burning on the paper around the neck of the guitar where the fire would be causing the most damage. Avoid the bottom of the sketch so that it’s still very visible to the viewer. Make the burn travel off the top of the page to intensify the effect. Now it looks like the fire is popping from the page! Time for smoke! 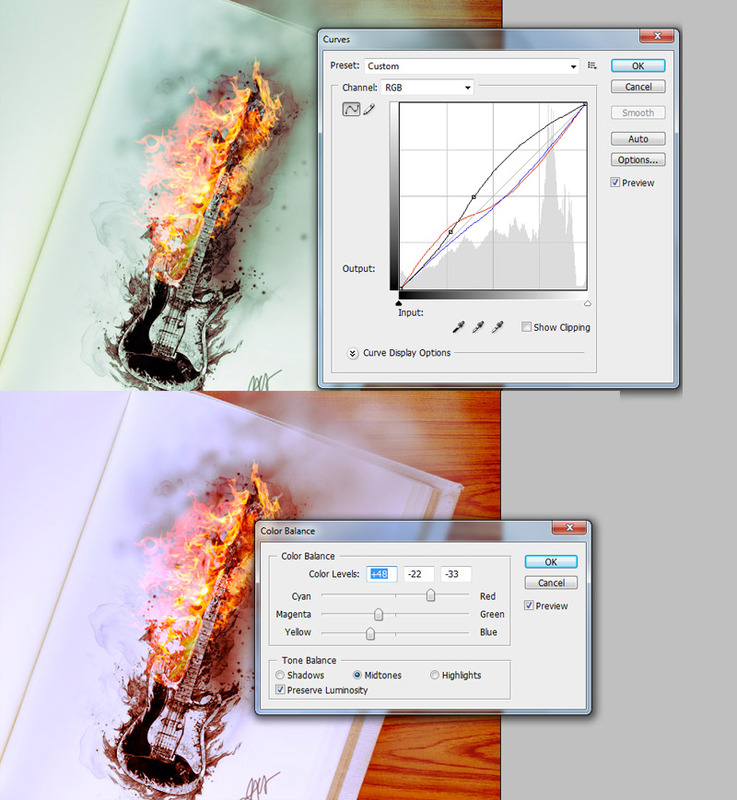 On a New layer (Control-Shift-N) grab the Brush Tool (B) and begin painting in smoke using a Soft Round Brush. To make this step easier, feel free to download any smoke brushes you find online. Use a medium color gray as the base of the smoke, and then add some smoke highlights with the color white. What’s a drawing without a signature right? This step is completely optional. A great way to add the impression of a real pencil sketch is to use the Brush Tool (B) to quickly doodle initials for an artist’s signature. Adjustment layers make everything harmonious again! Go to Layer > New Adjustment Layer > Curves and adjust the RGB, Red, and Blue Channels. Then add another new adjustment layer Layer > New Adjustment Layer > Color Balance. Bringing out the red and yellow Midtones will make the fire pop, and adjusting the Blue Highlights will make the smoke come alive. 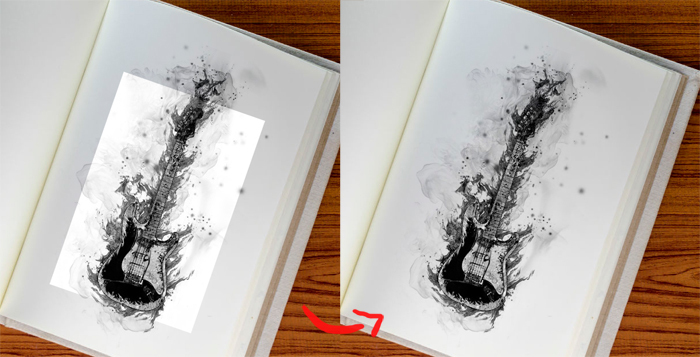 Finish off your fiery masterpiece by cropping the image so that all the focus is on the sketch. And there you have it! Impress all you friends with magic by making unique sketches comes alive! Enjoy!